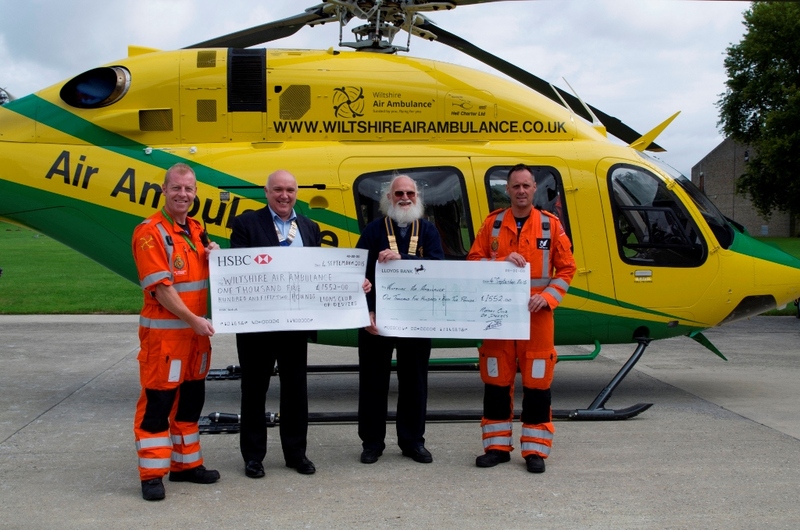 The Devizes Lions and Rotary Clubs’ annual joint charity golf day in May raised funds to help the lifesaving work of the Wiltshire Air Ambulance. Recently, Lions’ President Don Jones and Rotary’s past President Tom MacMeekin presented a total of more than £3,000 to Air Ambulance paramedics Keith Mills and Richard Miller. Each year the Devizes Lions and Rotary Clubs arrange a joint charity golf day with each Club choosing its own good cause to benefit from the day. 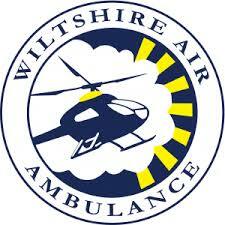 This year both Clubs decided that the Wiltshire Air Ambulance should receive all the money raised from the event held at the North Wilts Golf Club. In fine weather, which contrasted with the deluges on the days before and after the event, sixteen teams of four from around this area competed for a range of prizes. Posted on September 11, 2015, in Communities, Wilts Air Ambulance and tagged Devizes Rotary, Rotary Club of Devizes. Bookmark the permalink. Leave a comment.